The best part of the show was Anderson talking about dating girls and that he pretty much dated them in hopes of meeting their brothers! That's was funny and I like when he says stuff like that. @Canarsie.com Apparently is was edited out as it didn't air on today's show. What was the segment about/reason for the backpack? I enjoyed Anderson sharing about his "dating experience" at age 12, but could have done without the audience part of that topic. 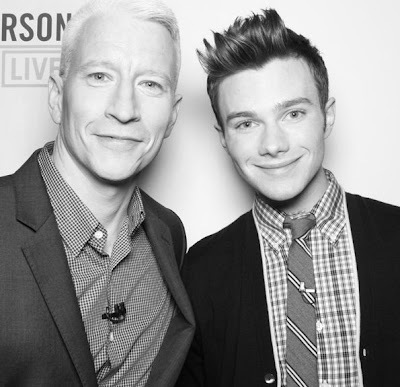 I really like Chris Colfer and he wasn't given hardly any time at all. Also, not sure how other's feel, but Terence needs to quit trying to be part of the program. Thankfully they edited out part of his interjecting himself in the one segment today. Guess he's angling for a new job now the talk show hasn't been renewed? Maybe he and his dog in clothes can get a reality show on TLC. He's obnoxious and whiny in my opinion; perfect for reality TV success it seems. Anderson's tales of very briefly dating women was great--it's moments like those that I'll miss when the show is finally done. 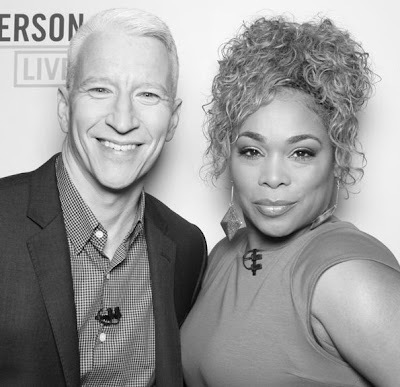 On the NYE show AC told Kathy Griffin that he didn't know who TLC was, so it was funny that T-Boz ended up co-hosting the show--I loved TLC back in the 90's, they had some really good songs. I found the two authors a bit annoying. The really nice T-Boz hardly got a word in and Chris Colfer should have gotten more time as well. The picture with Anderson wearing the Chewbacca backpack is adorable. He really doesn't need to pose for playgirl, all he needs to do are some pictures with him with his sleeves rolled up, a tie, suspenders, glasses and his smirk and there you go, pure Clark Kent journalist sexiness. I don't mind Terence at all and mainly because of what trampadoo says--Terence is kind of an AC-instigator and he gets him riled up and they get their little verbal battles going and it's fun to watch.